How to tell if it will snow or not! 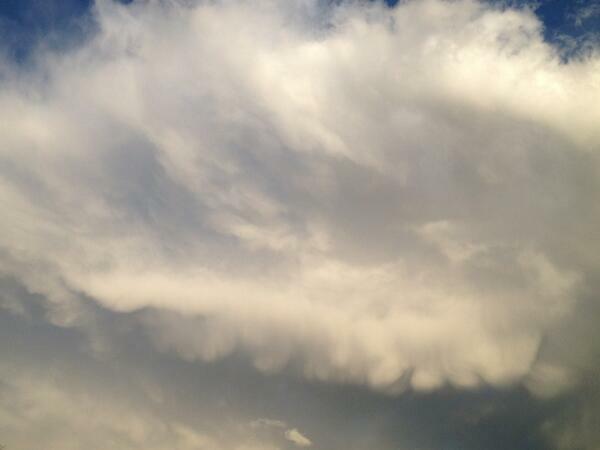 It seems that even when a good thing happens, meteorologists are still sidelined. What would it take for people to treat the utterly impressive work they do with any kind of respect? I see others rise to defend other areas of public service, such as the NHS, when somebody has had a bad experience and insists on tarring the whole service with that brush, but I don’t see as much of this in meteorology, and it’s probably because people don’t have as much of a personal connection with the field, nor enough knowledge. So, my intent is to change that. Weather forecasting systems are the supercomputers of our time – they deal with more variables than anything else, with greater levels of uncertainty even than the most tricky field of insurance, and they are awe-inspiring bits of tech. I mean, check out the Cray High-Performance Supercomputer plans that are taking up a huge portion of the Met Office’s investments at the moment. The fact that in this day and age we have any kind of way to predict the future at all is stunning. And let me make a distinction – it’s not actually ‘prediction’ – it is ‘forecasting based on probabilities’, because actually knowing what’s going to happen in the future is impossible. Why is it impossible? You might think that, provided we had all the correct equations ready and all the possible variables of the earth-atmosphere system input into a machine, that we would be able to solve for all future configurations of that data? Well, no. It’s not that simple. See, especially when it comes to fluid dynamics, there are some non-linear equations, such as the Navier-Stokes equation, with are unsolved in certain areas and this is a pure mathematics problem. Despite the issues with turbulence and flow interactions, however, the weather forecasting services still manage to make truly impressive efforts. And in the future, who knows? In fifty years I imagine we will have advanced even further, and I look forward to returning to this article when that happens, to compare how much better things have gotten. Endless possibilities! There is much misconception about weather forecasting because of the sheer number of illegitimate reporting being done. The Daily Express is well noted for this, for instance, and other news outlets have been known to issue scaremongering reports rather than reasoned and interesting reports on the actual science being done, which is a shame, because it means that when the Met Office releases something with scientific legitimacy, it is often overload for the non-scientific layperson, who ends up classing it ALL as bogus. Here’s some starter info from the Met Office on how snow forecasting works. But in addition, I would urge everyone to learn to read synoptic charts (the lovely surface pressure charts with all the cool lines and stuff going on over them). If you do this, it would be well worth your while and allow you to have a clearer idea of what weather forecasters are talking about. Synoptic charts are beautiful, and once you understand thickness lines, you yourself can more accurately understand whether reports of snow are likely to result in actual snow or not. This means it’s likely that the part of the world that I live in is likely to experience the snow that those in the UK are experiencing today (since the air mass is moving from west to east). And remember too that thickness lines are one thing, but to get snow you also have to have the right temperature range and the right amount of moist polar sea air coming in. Thickness lines are a complicated subject. But you can gain a lot just from looking at the areas of highs and lows. In general, areas of Low pressure bring cyclonic weather, where air converges and rises. This is responsible for the tropical thunderstorms around the Equator, and also for the cold and wet batterings the UK gets from the North Atlantic. Areas of High pressure bring cloudless summer weather to the UK, but they also can bring ‘Siberian’ weather in the winter. Cold, dry and icy. Almost the whole inner area of Antarctica, for example, is a constant area of high pressure, and it is the driest place on earth (yes, even drier than the Sahara – it is officially classed as a desert). So just knowing a.) what season it is and b.) what kind of pressure zone you have overhead can go a long way in aiding you with knowing what sort of weather to expect. Then there’s knowing where the prevailing weather fronts and air masses are currently sweeping in from. Knowing this gives you a real sense of connecting with the complicated and chaotic earth-atmosphere system once you get into it! I hope more people get interested in the cool charts available (for free!) from reputable weather agencies. NOAA – the American Oceans and Atmosphere Administration – is also excellent for this, as is the ECMWF – the European Centre for Medium-Range Weather Forecasting, based in Reading. 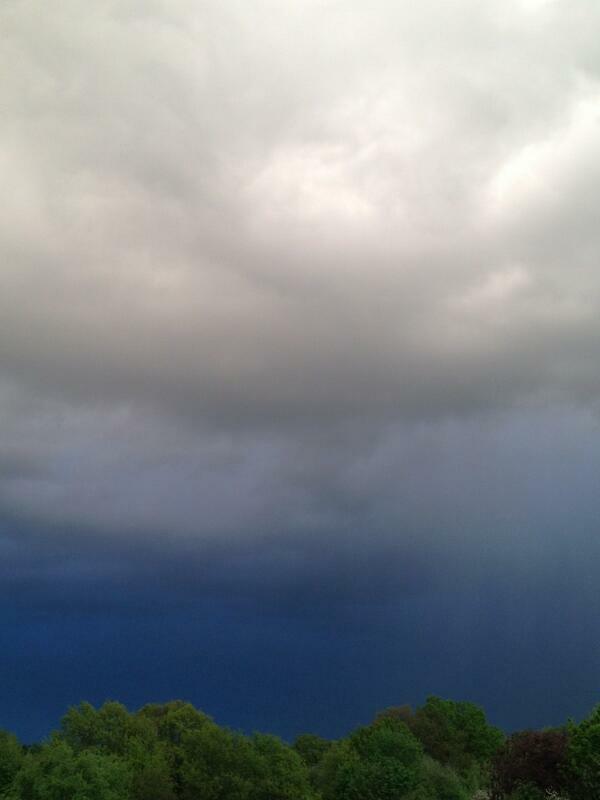 And if you’re not already using the free Met Office app, you really should have it on your smartphone at all times. It’s great – not only does it give you UK weather forecasts and world forecasts, it also provides synoptic charts (aka surface pressure charts) and satellite data of cloud coverage, temperature readings and rain cover. Another thing that complicates our weather research is government policy. 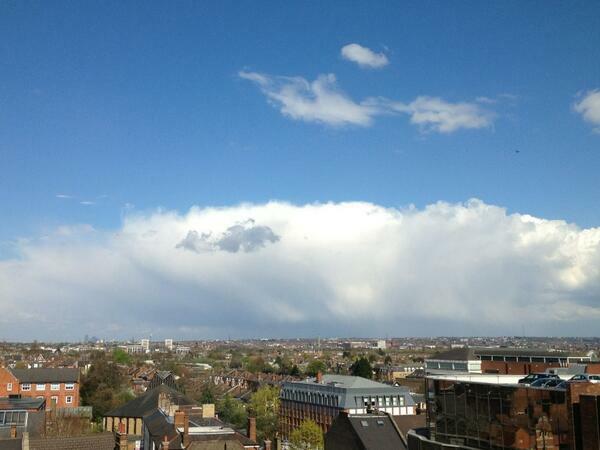 The Met Office currently gets £117 million to run its service every year. It’s peanuts compared to many other services, such as the NHS (£115 billion), and even the Church of England (£170 million). That’s right. The government spends more money each year on the upkeep of old Church of England buildings than it does on the Public Weather Service… And to make matters worse, because of budget cuts, the BBC has dropped the Met Office’s contract starting next year. The mere fact that they’re opting for an even cheaper service signals the importance of ‘money savings’ over rigorous science, and that is a real shame. Imagine if, instead of wasting energy dissing meteorologists, people with platforms spent that energy exploring the actual state of the tech, the actual state of the field of weather forecasting? We would surely all become more knowledgeable, more aware, and maybe even lead to more improvements in the field! That sounds like a much better use of time to me. It’s Darwin Day today – the celebration held on the birthday anniversary of legendary scientist Charles Darwin. He was a pioneer in not just evolutionary science (which most people know him for) but in geology and exploration as well. Last year I had the pleasure of enjoying Darwin Day whilst overlooking the stunning viewpoint of the Beagle Channel itself. This channel separates Chile from Argentina at the bottom of the South American continent, and is so named for the HMS Beagle, the ship that Darwin sailed through it in 1833. By a twist of fate, the ship was exploring the Argentinian coastline from late January onwards, meaning that Darwin was actually around these shores on his birthday. It truly was amazing waking up in such a place, on such a date. It wasn’t something that had been planned – I was there to go on a tall ship expedition of my own, and February, in the height of the Southern Hemisphere’s summer, is the best time for it. There is a lot less snow visible these days at this particular time of year. The weather was a balmy ten degrees Celsius or so. I did expect more of a challenge, but I suppose the fierceness of a far-South summer can be left to the ages past. Snow-capped cordillera surrounding the channel – surprisingly warm! After I realised it was Darwin Day, I spent some time reading his voyage journal, in particular I was interested in what he had to say on this part of the world. His observations on geology are truly remarkable, but in stark contrast, as can be expected for a man of his time, he had some rather disagreeable opinions of the local people who lived there, the Yámanas. This indigenous group still lives in this part of the world, mostly thriving off the tourist industry now – us Europeans didn’t wipe them out completely, but we did do some awful things based on our assumptions. So one thing we should take away is that we must pay attention to the difference between due scientific process and personal/social bias, especially when it comes to listening to important and knowledgeable figures. The collective name for this region, the southernmost tip of South America, is Tierra del Fuego, the land of fire. Although it wasn’t the HMS Beagle’s first trip down there, having completed a preliminary hydrographic survey in 1830, it was Darwin’s trip that brought this land to the attention of the Western world, along with other places he visited on this voyage such as the Pacific Galapagos islands. 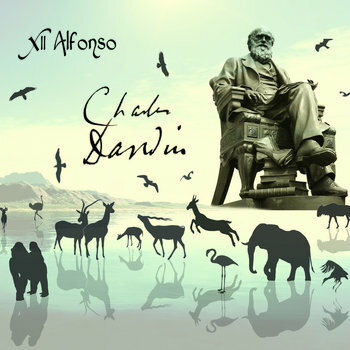 The prog rock band XII Alfonso have created an album called Charles Darwin which tells his entire life story story through an epic 52-song compilation. You can listen to the entire thing for free on Bandcamp, and I’d strongly recommend doing so (and maybe chucking a few pounds their way) – in particular check out Track 15, ‘Tierra del Fuego’. I would encourage everyone to delve into Darwin’s journal this Darwin Day. For its scientific observations, for Darwin’s personal struggles, for the inextricable socio-historical undercurrent, for the fact that he had the idea of getting out there to find out more and went for it, despite the dangers. Human curiosity in a nutshell. It’s important to not forget this stuff – it’s part of our human history, and a big part, at that. Share it with people, tell your kids: think, and get others thinking too. The Haslemere Museum is a hidden wonder for geologists. It has a well established rock and fossil collection for such a modest place, and has a connection to a brilliant Victorian geologist, Sir Archibald Geikie (more on him another day). The fossils outshone the rocks by far. This was mainly because the rock collection, while not bad, suffered a bit of interior design confusion, as igneous and metamorphics were placed too close together without significant distinction. However, it was nice to see a focus on ancient British rocks! The meat of the pudding was seeing the trilobites . There were a fair few different types of trilobite on display, as seen below. Good ol’ Calymene Blumenbachii to round things off! That was not all. Every drawer beneath the display cases were able to be opened by visitors, and more examples lay there. The lighting prevented me from taking suitable photos, but all the more to surprise you with should you go visit! Also particularly enjoyable was the ammonite collection. This was significantly more spread-out than the trilobites, but there was one particular example worthy of a photograph, a massive Titanites (and Titanites are always worth taking a photo of). Mr Whiddington also found some dino friends to play with in the kids’ section, which I am sure he was most pleased about. There were some nice looking lagerstätten, including this fossil fish, which was so finely preserved it looked more like something you would find freshly grilled on your dinner plate. The museum shop gave much happiness as they had for sale trilobite fossils! I got one, and it looks real enough, but sadly there was no label as to its species, and the shop assistant did not know. It looks to me like a good old Calymene, but if anyone else has any other ideas, do let me know! It’s nice to see stuff like this, where toys are reflecting the science, and good on the museum for having such awesome stuff for sale! There were other nice aspects to the museum, including a lot of stuffed animals, butterfly collection, and a beehive viewer, and some lovely grounds you could take a wee walk in. And being next to a town centre with lots of lovely shops, I’ll definitely be visiting again. This is my piece for Accretionary Wedge #60 ‘Momentous Discoveries in Geology’. Enjoy! GBinSAR? What is this all about? I am going to talk about a very momentous discovery in geology, the development of a type of radar that helps in monitoring ground movements. It has a long name, you must be warned: ‘Ground-Based Interferometric Synthetic Aperture Radar.’ Or, GBinSAR for short. And it’s a pretty useful bit of kit – it can be used to monitor ground movements of anything from earthquakes and volcanoes, landslides and slope failures, and even glacier movement. So how did this space tech come down to land? An image of the interferometric signal from a GBinSAR setup, mapped onto a digital model for ease of viewing. Reproduced from Leva et al, 2005. First we need to know about Synthetic Aperture Radar! Okay, so synthetic aperture radar uses microwaves to get a backscattered image of the environment – this basically means that microwaves bounce off whatever surfaces the instrument is aimed at, and returns a signal which is picked up by the same device. The resolution of a SAR instrument is very high, so it is easy to pick up tiny fluctuations that may suggest something has changed. Now we can take it down to land! So normally SAR instruments operate from satellites in space, but they’re quite wide-range, and sometimes for a particular slope, volcano or glacier you need an even higher, more precise resolution. So we do something very simple – we bring the SAR instrument down to the ground, and set up a couple of stations around the target area, and the radar image can then be made by combining the signal from both instruments. This is exactly what Ground-Based Synthetic Aperture Radar does. So we have GB SAR, what about the ‘in’? When you combine two different signals, you’re calculating the interference between them to form the image. This is what’s known as interferometry, and it explains the ‘in’ part of GBinSAR. Interferometry is mega-cool; it was first used on Venus and the Moon! It’s a beautiful example of how space tech has ended up being useful for geohazard mitigation on Earth, so all opposers of blue sky science, take note! All right, but who invented this stuff? The original SAR was first conceived back in 1938, by Sir Watson-Watt, and was called the ‘Bedspring Antenna’. SAR technology did not actually come into proper use until 1978 when the SEASAT satellite was first put up. The movement from space satellites to ground-based inSAR did not happen officially until 1999, when the EU’s Joint Research Centre did some dam experiments and published the first paper on the subject. Since then companies such as Ellegi-LiSA labs in Italy have worked towards creating saleable models. The LiSA model from this lab is currently the most widely used. Okay, so tell me more about where it’s been used. I want some examples! GBinSAR is used all over the world to monitor any geological surface that might be likely to start making a run for it. For instance, in Japan it is used to monitor landslides in unstable areas easily affected by typhoon rains, such as the Tottori prefecture, and this has led to some very successful evacuations recently. On the island volcano of Stromboli, GBinSAR is used to constantly monitor minor changes on the main volcanic debris slope, so that landslide-tsunamis can be mitigated. It’s possibly the best tech to use here, as erecting monitoring equipment on an active debris slope is nigh on impossible, so having this multiple-receiver setup placed around the sides of the slope allows high-resolution data to be captured without causing too much damage to the hardware. This technology is also used in civil engineering. It’s been used to monitor deformation of dams in Poland, and even structural deformation of bridges! So this is an awesome piece of tech, and it’s really changed the world of hazard mitigation. I’d definitely say that the idea of converting space-based Synthetic Aperture Radar to a ground-based model is one of the greatest geological revelations ever, because it has helped save lives and provide early warning systems for disasters. Although it’s something that goes by unnoticed most of the time, let’s give some applause to the humble GBinSAR device and its space-age predecessor. Pluto, King of the Underworld, was forever followed by Charon, his loyal ferryman who transported the souls of the dead to Hell. This is what I grew up thinking as I looked at pictures of the distant dwarf planet in my astronomy books and space magazines. Hell was an icy place, which was fitting, since Dante’s centre of hell is a massive icefield. Recently we discovered there was more than one moon circling Pluto. This, too, makes sense to me, as here’s a lot to Hell. Charon traverses the river Styx, and across the other side of Hell lies the river Acheron, and then there are a multitude of creatures and beings – harpies, the Hydra, Kerberos, for example. In 2005, two more moons were discovered. The first was named Nix, goddess of Darkness and the mother of Charon. If you’re a mythology buff and have noticed the odd spelling, never fear. There is already an asteroid called by the original Greek spelling, Nyx, so to avoid confusion the lovely people at the IAU have chosen the more Egyptian form of the name. The second moon discovered in 2005 was named Hydra, the nine-headed serpent and foe of Hercules. A fitting underworld inhabitant. Then two more moons were discovered last year. This time, their naming procedure went to public vote. The first moon was named Kerberos with little trouble – Kerberos being the beast that guards the Gates of Hell, the three-headed dog (Greek mythos sure does like things with multiple heads, eh?). But the second one’s naming procedure was quite contentious. The options are here, and the results are here. Can you spot the problem? To explain more fully, the International Astronomical Union (IAU) has a certain naming procedure for celestial groups. Each group must contain names that are relevant to a specific area of a particular mythology. The golden rule is that mythologies and groupings should not be mixed; a name has to refer to a character or element that has substantial connection to the area. In Pluto’s case, the mythology is ancient Greek, and the grouping is the Underworld. Most of the names suggested in the poll link into this, except for Vulcan, who is Roman and who is connected with volcanoes, fire and blacksmiths. Vulcan lends his name to the island of Vulcano, which is where the word volcano comes from. The wider region of Sicily and Southern Italy was his domain, and his smithy was said to lie beneath Mount Etna. Although his Greek cognate is the hearth god Hephaestus, the Mount Etna thing actually connects Vulcan to an older myth, from when the Greeks first visited Sicily. They believed the destructive god Typhon was locked up beneath Mount Etna to quietly steam and, occasionally, try to escape, causing lava to threaten the villages on Etna’s slopes. As Roman mythology took over from the Greek, Vulcan superseded Typhon in Sicily and the personality of the fire god beneath the mountain became more carefree, more vibrant. The point is, not only is Vulcan in the wrong mythos, but he has very little to do with the underworld. It’s almost an insult to the mythical character to connect him to the underworld, as he hated being cooped up. He is more akin to a free-roaming, free-burning fire spirit. It’s so far from Pluto’s icy, dark world. However, the poll results went in Vulcan’s direction. See, if you don’t already know, Vulcan refers to both a race of beings and a planet in the Star Trek world. This choice was endorsed by William Shatner and Leonard Nimoy, key actors in the Star Trek franchise. Predictably, the fans went wild and Vulcan was the leading choice. My spirits sank. But then, to my delight, the IAU overruled the Vulcan decision, because it did not meet all of the requirements as outlined above. It’s now called Styx, which makes it particularly fitting when Charon crosses its path. Woohoo! There was another interesting element to their decision to overrule the result. One of the other requirements is that the name cannot refer to anything currently in existence. That’s why Nix is spelled Nix and not Nyx, as there is already an asteroid called Nyx. In the case of Vulcan, it was deemed too similar to the ‘real’ Vulcan, and I say that with quotation marks because the planet Vulcan was something that people thought was very real in the 18th Century. Allegedly a planet between Mercury and the Sun, Vulcan is now thought to have just been a trick of the eye and can be explained by a number of things, which I will delve into in more detail in a later blog post. Anyway, I’m glad the IAU got the last choice. I get very picky about groupings that don’t have storified causality to link them. Having Vulcan in this list was like reading a fanfiction where the writer inserts their own headcanon character with little regard for the canon plot and little skill at weaving them into the narrative. IF, however, someone creates a story that manages to canonically link Vulcan to Pluto’s domain (I would suggest, since he sort of shares his home with the Greek god/monster Typhon, he could somehow be returning to the Ancient world underground after being locked up underneath Mount Etna…) then I might accept it. But it would have to be good. On a side note, I am disappointed that Acheron, Tartaros and Thanatos got such low votes. What might this mean? Well, certainly that those who voted are more interested in Star Trek than in mythology, which I suppose is nothing new. But I was a bit disappointed to see the Star Trek celebrity endorsements of a name which has so little to do with Pluto. I suppose it would be better if Star Trek used mythos cleverly, like the ever-impressive Stargate does. Something interesting is happening in our skies. It may not look like much from down here, where all we can see is a seemingly-endless sheet of stratocumulus, but way up there, a very strange pattern has taken shape. Usually our British weather undergoes the following kind of pattern: a single spiral of low-pressure air sweeps in from the sea, usually from Iceland or the Gulf Stream ways, giving us rainy, ‘miserable’ weather. Then a spiral of high-pressure air moves up from Western Europe to give us more amiable weather. We alternate between the two. Which is why Britain is often rainy, with short breaks. Pretty simple. But since last week, something interesting happened. 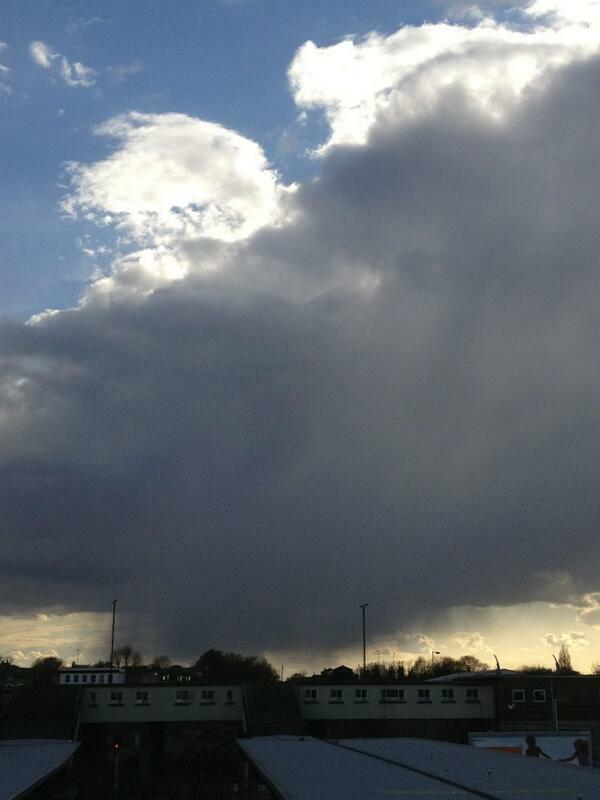 A low pressure spiral of air passed over the UK – and got stuck. Another low pressure spiral joined it but did not move it completely out of position. Instead the spiral movements of the air sort of provided reinforcement for each other – a positive reinforcement cycle – and kept each other circulating over the same patch of land, namely, Britain and North-Western Europe. There was even a point on the Met Office charts for late Wednesday night which showed three low pressure zones together over the UK! While it’s not the weirdest thing in the world for there to be more than one low pressure zone in a weather pattern, it is strange for these zones to maintain each others’ presence in the same location for such a long period of time! It’s been a week now, and the charts indicate it’ll be at least another week before they manage to shift. Check out the Met Office’s surface pressure animation for the next few days and you’ll see what I mean more clearly. The UK sits at the forefront of the battleground between cold polar air and warmer subtropical air. The line drawn between the two is called the Jet Stream; you’ve probably heard of this thing before in the news every so often. Well, something the Jet Stream does is it undergoes these oscillations: wave-like patterns which make it change position. You might have heard of the North Atlantic Oscillation (hint: it’s also the name of a band) but what we’re going to focus on here is the Arctic Oscillation. Now, when the oscillation is in one phase, the Jet Stream may be located further up to the north of Scotland, drawing up warmer air over most of Britain; when the oscillation is in another phase it may be located closer to London, pushing down polar air over most of Britain. A positive oscillation pattern is ideal – this basically means the waves in the Jet Stream are low, so it’s a lot calmer and more like a straight line, and weather is more regular. A negative oscillation is not so good. This means that the waves are much bigger in scale, so the undulations are a lot deeper and weather is more chaotic. At the moment we’ve got what we call a neutral oscillation – which is not ‘no oscillation at all’, as you may think the name implies, but rather means it’s mid-way between positive and negative. And it’s been trending more and more towards the negative over the past decade. This set of spinning twins is an example of this in action. The Jet Stream’s effectively turned into a Big Dipper, and a couple of low pressure zones have gotten entangled in one of the dips – right over our heads here in the UK. Lucky Britain, eh? We should be operating under warmer weather more typical of British Summer Time now – and we did experience a nice unusual warm period almost a month ago now. Remember those numerous cloudless days before all this bad weather kicked off? Again, this was due to part of these natural oscillations, in which the waves were placed so that warm, high pressure Mediterranean air got ‘stuck’ over our heads for almost a week (but you never hear talk of oscillations when the weather’s good). That warm period was a boon for plant life, and now plants seem to be suffering from this unexpected cold in many regions. Especially after another cold winter , the poor things aren’t doing too well! Same goes for animals – lamb birthing etc. And of course, rain tends to ruin people’s outdoor plans! It’s not nice either for those with arthritis or something similar. Time to bring out the warm socks again in many cases! It’s probably time to admit that this is one of my favourite kinds of weather. With low pressure zones, especially when it’s got a good old combination of cold, warm and occluded fronts all bundled up together, you get a huge variety of clouds. It’s a cloud smorgasbord. Every day I have been able to revel in an array of dramatic cloudscapes, from the puffiest of cumulus towering in intensely sunlit skies, to wispy cirrus preceding walls of blanket-grey stratus clouds. Bands of rain that sweep over in only a couple of hours or even minutes, allowing you to gaze upon the raincloud leaving, with fibrous, veiled tendrils of rain trailing beneath it like some sacred shroud. Unexpected rainbows against cauliflower backdrops, huge anvil nimbuses with mammatus udders, the strangest shades of blue at sunset. If you need some more convincing, just check out this luscious slideshow from the BBC, displaying recent lenticular clouds over Yorkshire. So it’s hard to tell how long it’s going to stay like this, but it isn’t forever. If anything, when the next high moves in, we will enjoy and appreciate it all the more. Last week was the Birmingham premiere of the best show currently touring the UK right now – Walking With Dinosaurs! In a word, it was AWESOME! The T-rex below, for example, actually had me a bit scared! The sound, man… Way more intense than watching Jurassic Park in 3D. Not only were the dinosaurs incredibly textured and well-done that they really did look alive, but they were huge, and it was only at points where I noticed the paleontologist running around beneath them ‘for scale’ that I really became aware of the size of them. The brachiosaur was astonishing. First off all they brought out a ‘baby’ brachiosaur, and I thought initially that this was their way of managing to avoid making a huge adult-size brachiosaur puppet, but only five minutes later, after the allosaur had given the baby a bit of grief, the paleontologist turned around to a loud booming behind the curtain. And a head emerged from behind the curtain. The brachiosaur had to bend to get out, and when it extended its neck fully it near reached the highest lights in the stadium. The rocks on the stage moved around and became smoking volcanoes to symbolise the Deccan Traps as the paleontologist explained the role of flood basalts in the extinction of the dinosaurs. Flowers popped up from the ground as the paleontologist explained that flowering plants developed much later than dinosaurs evolved. There was a lot of meaty info, which was great for the kids in the audience, and makes me one very happy geologist. So seriously, if you have kids, or if you’re just overly enthusiastic about dinosaurs this is well worth a watch, and a great way to spend the evening! Volcanism, Impacts and Mass Extinctions Conference: the livetweets! Last week was the Volcanism, Impacts and Mass Extinctions conference at the Natural History Museum, London. The first event under this name, it lasted three days, each packed with dozens of lectures and plenty of discussion, and brought together nearly all the main players in the field of mass extinction research. It was exciting as this field of research is often fraught with disagreements over boundary distinctions and predominant causes of extinction – you just have to go back to the whole Alvarez thing to see how difficult it first was to acknowledge that impacts could even cause an extinction, and more recently to Courtillot to see how difficult it has been to accept the role of flood basalts. Discussions are bound to get exciting, and in this aspect the conference really didn’t let me down. I am hoping to see this conference return in two years’ time. Before I lay out what the haps were (because that section is long and requires much scrolling) I will briefly announce that I met many of my geo-heroes at this conference. I met Gerta Keller (the event organiser) and Tony Hallam, saw Mike Benton but sadly didn’t have the chance to chat, and ran into Paul Wignall again. I also met so many cool people who answered loads of questions I had about my final year dissertation. Ace!